Today I was blowing bubbles for both my girls in our backyard. They absolutely love it! I will shower each of them one at a time in a barrage of bubbles as they try to pop them before they hit the ground. As the fun went on both of my daughters kept starring off at the bubbles that I blew for the other. Because they kept looking at their sister’s bubbles they would miss their own. I couldn’t help but to catch the picture of what was happening and think of how most people, no matter the age, can be guilty of the very same thing. 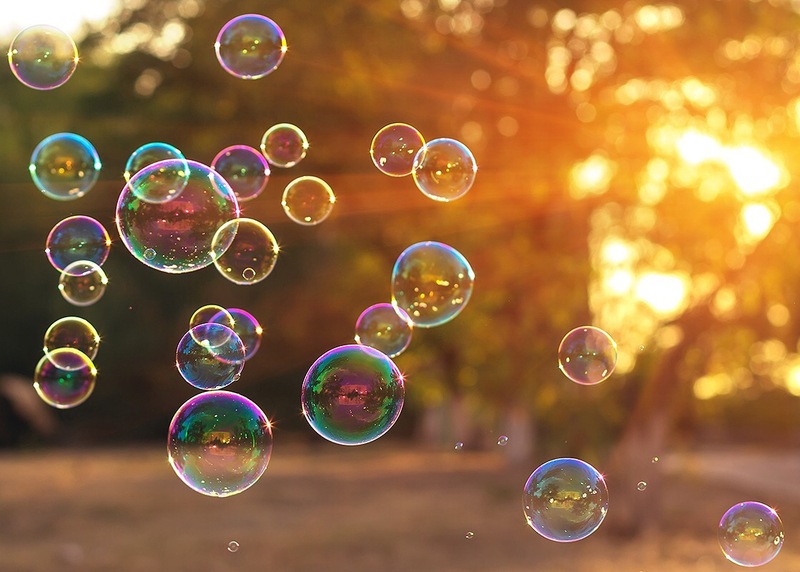 As we get older we look at things a lot different than bubbles but the problem is the same. We can so easily miss the great things right in front of us because we are too busy looking at what others have. Today I’m going to take the time to be thankful for all the people and things in my life. Most of all, I’m going to be thankful no matter the bubbles that others have because I have Jesus and nothing could ever beat that! God bless my brothers and sisters and may you see all the beautiful bubbles in your life. I’ve had to punished my girls and I can tell you that it is one of my least favorite things to do in life. It may be necessary and right to do, but it is so hard sometimes. And even when I punish them, I have no intentions of ever leaving them. When correction is needed in their lives, and they have to face the realities of consequences, I want them to know that my love for them will never diminish. I imagine God looks at us in the same way only with greater intensity. In the middle of pain, especially the self induced kind, it’s easy to assume God is nowhere to be found. After all, it’s my own fault i’m in this mess so why would He be here? I sinned and disobeyed Him so why would He want to be with me? I’ve committed this same old offense once more so now He really must have given up on me. How could I blame Him if He was absent in my consequences? The life of Moses is a captivating one to say the least. He narrowly escaped being murdered by Egyptians when he was a baby, he was raised by both his mother and pharaoh’s household, he killed an Egyptian while standing up for a fellow Hebrew, he fled into exile for 40 years, then he’s called by God (out of a burning bush!) to tell the most powerful nation in the world to release its slave labor force, he’s put in charge of a nation of people while on an exodus over hundreds of miles, and constantly has to mediate between a Holy God and an ungrateful people. No doubt that he must have been an amazing man. But even as incredible as Moses was, he still suffered from the same ailment as all of humanity: sin. One such sin caused a major consequence. In the book of Numbers, chapter 20, Moses and Aaron have to deal with a bit of a water shortage. 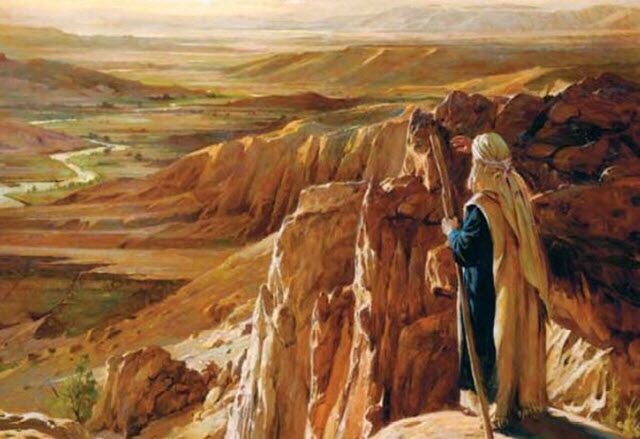 To sum it up, Moses and Aaron don’t follow God’s instructions and end up taking the glory for bringing water from a rock rather than giving God the glory for it. The effect from that would be denied entry into the promised land. Ouch! But that’s not the point of this story. Moses screwed up and so do we. No need to remind everyone of that. What I want to point out came at the end of all this, when Moses is facing up to the consequences, at what would be the end of his life. Moses had to miss out on walking in the promise land but he got something so much better. The Lord went up the mountain with him. The Lord showed him a glimpse out of grace. The Lord buried him where only He knows. Despite Moses’ disobedience the Lord never left him. Once chosen by God, Moses was His forever. That didn’t exclude Moses from the consequences of his sin but it did keep him in grace. And that is no consolation prize. I heard a story once of a little boy who was placed in timeout by his mom. He begged and begged to be let out but his mom stayed firm. Along came grandpa and the little boy pleaded with him to take him out even though his mom had said no. Instead of taking the boy out, the grandpa sat with the boy in time out until his time had been served. God is much like the grandpa. He may not excuse us from the hurt and pain that our actions create, but He’ll be right there with us. Keep in mind that God is no stranger to punishment. He chose the most excruciating crucifixion for our sake and He didn’t deserve it. If He’ll hang on a cross out of love for us and you can be sure He’ll be with us in our time outs, our pain, our breakups, our divorces, our failing health, and all our sufferings. Believer, our sin will reap consequences in this life, for us and others. There may be no condemnation for those who are in Christ Jesus (Romans 8:1), but that does not exclude us from pain. On the other hand it also does not forfeit us from God’s grace. Where we have to be concerned is if there is no desire to repent of sin. Moses repented and continued to pursue God all the way to the end. If God has chosen you then He’ll be right there with you even as you battle your way through the wake of your sin. Our mistakes are not the end of our story just like it wasn’t for Moses. After all, Moses did enter the promise land one day. And who took him there? It was the Lord. The desperate heart has only one place to look, and that’s up. Think God has left you? Not a chance. Screwed up royally? God is still at the door knocking. Whether you’re a Believer or not, God is in pursuit of you. Our ugliness doesn’t drive Him away. If it did, He never would’ve gone to the cross for us in the first place. There are so many ways that people challenge the authority of the Lord. No one is immune from it. Every human in existence has rejected the sovereign rule of God. 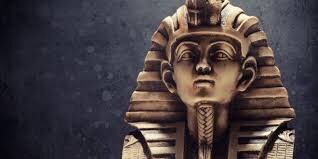 Pharaoh shunned God’s commands because he did not know Him, nor did he want to. Those of us who put off reading the Bible, make things up as we go, try to conform God to our image, follow false religions, or outright refuse to live how Jesus called us to live are doing the very same thing. We do all of those things because we don’t know God nor do we want to. Pharaoh is a picture of the human condition. We don’t like to be told what to do, even by the One who made us. It’s dirty stinking pride that rots the soul. It’s the same sickness that plagued the Pharisees and Saducees who fought so hard to dispel Christ. To accept the Messiah meant to give up their control of religion and of the people who they manipulated. It’s the same reason why the Catholic Church refused to allow bibles to be printed and distributed to the masses for so long. They wanted to be on the throne of people’s lives. The throne is never a place for us to occupy. Not in our own life and especially not in the lives of others. God answered Pharaoh’s question with ten devastating plagues that shattered their false gods. And every time we ask that question, whether by word or action, we are stating that we too have false gods whom have our heart’s allegiance. But we don’t have to play Pharaoh any longer. In John 10 Jesus said, “My sheep hear my voice, and I know them, and they follow me.”‭‭ It’s simply a matter of choosing who you’ll be: pharaoh or a sheep. One gets life while the other…well, just read Exodus 7-12 to see for yourself. Be encouraged by brothers and sisters because He is calling and He has made Himself known.